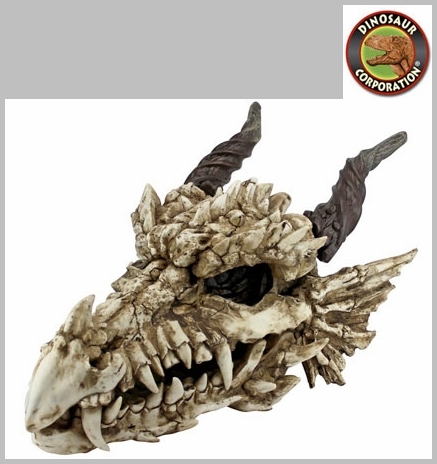 Dragon Skull Statue Outdoor Sculpture. 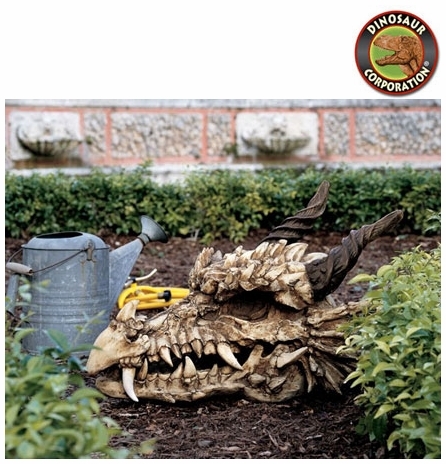 With a head more than two feet long, our large-scale trophy for your home or garden is guaranteed to impress friend and foe with its sheer magnitude and detail. Cast in quality designer resin and finished to be indistinguishable from authentic fossils. * Small size: 14" W x 19" D x 8" H.
* Small weight: 10 lbs. * Large size: 18" W x 26" D x 18�" H.
* Large weight: 22 lbs.